Once again, the guys at Cobb Tuning, and thistle have come up with new and cool features for the Cobb AccessPORT. This new video shows the GT-R going into TPMS(tire pressure monitoring system) learning mode though the AP. This is useful for guys with two sets of wheels. There are other items that you need to do to make it recognize the sensors, but this gets the car ready to accept it. This is not in the AccessPORT yet, but it should be soon. This shows the TPMS being put into learning mode. I will ask for this to be added to the AP NIS 006 product. 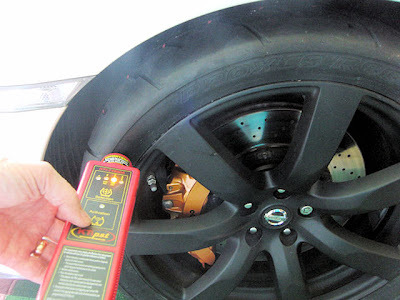 You can either use an activation tool or set the tire pressures to 34,31,29,26 PSI and drive for 3 minutes.